Planning a Disney vacation for your family can be a huge undertaking, but one that we endure so that our children can have this once in a life time experience. As such, we are very EXCITED to welcome back Carla Gesell-Streeter, a travel agent specializing in Disney travel for over eight years, to the Family Friendly Cincinnati site. In this fifth and final post of a five part series, Carla is sharing ideas and tips for what to do during your Walt Disney World vacation. Find Carla’s other Disney World travel tips posts, here. While this is Carla’s last Disney travel post for Family Friendly Cincinnati for now, don’t forget that you can listen to her quick and easy Disney travel tips on the Mouse Magic in a Minute podcast (available at http://www.mousemagicinaminute.com/ or on iTunes). The new season is starting this coming week and will feature tips for traveling on the Disney Cruise Line. 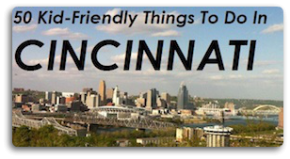 In my first four Family Friendly Cincinnati posts, we looked at when to go to Walt Disney World, how we’re getting there, where to stay and where to eat on your vacation. In this segment, we’re going to consider what to do at Walt Disney World. If you made your dining reservations online (see my last post ‘Tips for Dining at Disney World), you may have seen a link for My Disney Experience. 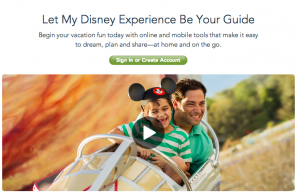 Disney decribes it as a “whole new way to plan and share your Walt Disney World vacation”. Sign up and then you can add your on-site reservation, your dining reservations and more. They also have a mobile app you can download on your smart phone to have your plans with you. What makes My Disney Experience really unique is MyMagic+ which includes FastPass+ and the new Magic Bands. A FastPass is like a reservation to experience a ride or attraction at a later time without having to wait in long lines. Unlike other theme parks, there is no additional charge to use a FastPass. With the new system, you can make up to three FastPass+ selections for attractions and entertainment each day at one theme park depending on availability. When it’s time for your FastPass+, you just touch your MagicBand or card to the touch point. So what are MagicBands or cards then? They are a bit of everything you need for your Disney vacation. They are your room key (if staying onsite), your tickets for the parks, your dining plan credits (if you have one) and your FastPass+ selections. If you have registered with My Disney Experience, you will get to choose your MagicBands in advance and they will be sent to your home. Otherwise, you will get them when you get into your Disney resort. If you prefer to not have a band, touch-enabled cards are also available. So you know exactly where you’re going, you can also order some customized maps from Disney. Not only do they help you plan, but they are great souvenirs after your trip. If you want some online maps to look over now, check out the map collection at The Mouse For Less web site. They have all of the parks and the resorts so you can get an idea ahead of time where everything is. 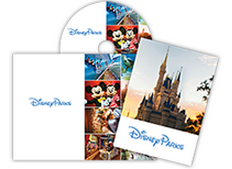 You can also order a Walt Disney World Trip Planning DVD. It’s a great way to get the whole family acquainted with everything that Walt Disney World has to offer. Many of our clients make it into a whole Disney evening by making recipes that they find on the MFL Boards Disney Recipes Forum. And that wraps up our series on planning a Walt Disney World. If you would like a free, no-obligations quote, just contact me at the email address below and I’ll help you plan YOUR magical Disney vacation.